I love to cook and bake. I love to make things from scratch, but the reality is that I am a busy homeschooling mom, with three kids. I live in the country, we have three dogs, and we raise hogs. I help with my husband’s office, I take kids to piano lessons, the library, doctor appointments, etc. I am busy just like everyone else. We also have food issues and eating out is almost impossible. The fact is that most of the time I cook twenty one meals at week at home. That makes me tired just thinking about it. I love to cook and bake, but the reality is that no matter how much I love to cook and make things from scratch, I don’t always have time. The reality is that I often need quick and easy meals. The reality is that I can not do it all and often use shortcuts and convenience items. 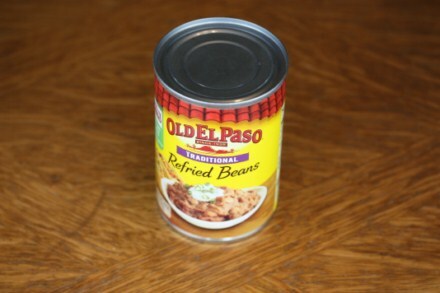 Yes, I like to make homemade refried beans, but you will also find canned ones in my pantry for when I do not have time to make them. I think it is great that many of you make your own tortillas. I have had homemade tortillas and they taste great, but homemade tortillas are not happening most nights at my house. I just don’t have the time. 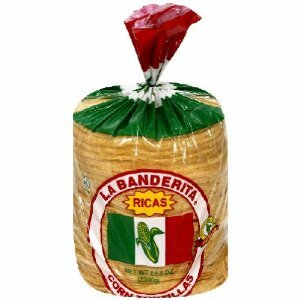 You will almost always find a package of store bought tortillas at my house because I can easily put together quesadillas or taquitos using them. And although I like to cook dried beans, right now you will find these in my pantry. 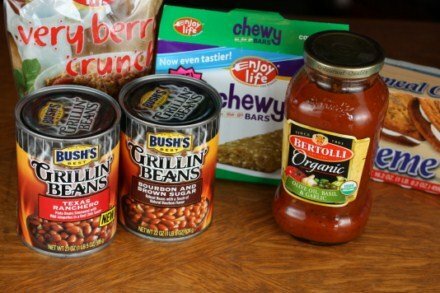 In fact, you will almost always find quite a few cans of various types of beans in my pantry for those days and times when I need a quick and easy meal. 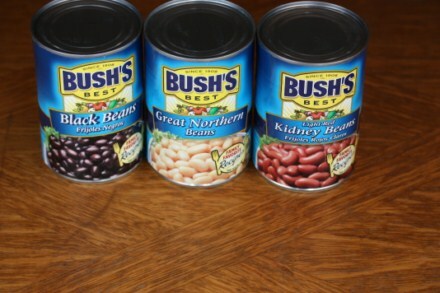 Canned beans make life so much easier when I need to put together a quick soup, chili, or mexican type dish. Another kitchen shortcut that I use all the time is chicken and beef broth. Yes, I know how to make it from scratch. Yes, I know how good it tastes when made from scratch, but the reality is that I don’t usually have time and store bought broth is convenient and easy to use. Should I admit that I also love boneless skinless chicken. Yes, I love to cook whole chickens, but in general boneless skinless chicken is quicker and easier to use. And here are just a few other kitchen food shortcuts and convenience foods that you will almost always find in my kitchen. Yes, even though I prefer to make my own homemade granola and granola bars, I usually keep a few premade items on hand to be sure we always have them. And yes you will even find a few prepackaged cookies and other snacks for the non gluten free eaters in my family. I am just like everyone else. I need and use some prepackaged convenience type items. Tomorrow I will even be sharing a recipe that uses tator tots. Yes, I even keep a package or two of those in my freezer. My thought is that a homemade meal is still homemade even if I use canned beans. A soup is still homemade and healthy even if I use store bought chicken broth. A homemade hamburger or meat loaf with a side of canned baked beans is still a meal that my family enjoys. We can not do it all. 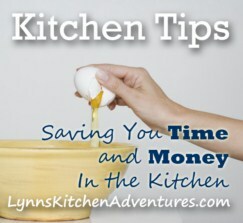 We all have a few convenience foods and kitchen short cuts that we keep on hand and use. And I think that is perfectly fine. I am just keeping it real here……. Now that I have admitted a few of my favorite food shortcuts, I would love to hear yours. What kitchen shortcuts do you use and love? Ah…Thank you for this post! It’s a helpful reminder that we need those simple shortcuts from time to time! You are welcome! I am just like everyone else. 🙂 We all have certain shortcuts we use to save time. I just want to say thankyou for keeping it real! I follow some other blogs, on whole living and whole foods cooking, and I feel pretty guilty somtimes when I consider not making absolutely everything from scratch! I like the balance that you have, striving for healthy ingredients and healthy cooking, but yet it`s not the end of the world if you eat something out of a can or a box!!! I get discouraged and think I can`t do it all, all the time…..and I DO NOT have to. So thankyou! To your point, everything we do is a trade-off between the time it takes to make meals from scratch vs the cost of going to a restaurant and everything in between. Having the skills to do it yourself is a wonderful asset, and when you enjoy being creative in the kitchen, all the better. I think of a convenience item as a box of Weaver chicken or tater tots. You deserve full credit for making home-made meals from the shortcuts you mentioned. This is such a great post, Lynn! What a wonderful reminder that it OK to use some store bought items. I’m also excited to find another blogging Okie! Are the Bush’s baked beans and Bertolli sauce gluten free? Those are two I haven’t checked on and since you have them it made me wonder if they are ok.
We always have some Snickedy brand snacks for my kids and there are about 16 cans of tomato sauce in the pantry as well. Canned tuna, tortilla chips and Wolfgang Puck’s soup are all staples as well. You do what ya gotta do. Next year, I will be in your boat. We will start homeschooling when my son moves out of his kindergarten program at church. Maybe I can learn more about freezer meals and do some ahead of time. Thanks for posting, Lynn. I just love your site! Freezer cooking saved me so many times when my kids were younger and I first started homeschooling. In fact I still do some small scale freezer cooking on things like taco meat, chili, and a few other things. It really does help for those really busy days. I love your site, Lynn. I love that you are real! I love that you are balancing cooking for gluten-eaters and gluten-free eaters. Sometimes I feel very alone IRL with that. I usually have an emergency jar of spaghetti sauce and some canned beans on hand. We always have chips and granola bars. I don’t keep any boxed chicken stock on hand because once I started making it, I just can’t buy the other stuff anymore. LOL. For my gluten-free eater, I always keep Tinkyada pasta, tortillas, Glutino pretzels and Chex cereal on hand. Thanks Cheri that is really nice. And I love Tinkyada and Chex. Both of those are regulars in our house. Interesting. I don’t think its the end of the world to eat something out of a box or can, but I’d really rather not. I’ll eat commercial potato chips, but I won’t keep them in the house. I will make homemade for a special occasion, the rest of the time, we really don’t need them. The more I make my own convenience items, the less convenient I think the commercial versions are, so I end up buying fewer all the time. And I like homemade better. Somehow I just can’t see catching and canning tuna myself, though. Nope. Definitely not. This was eye opening for me. I use those “short-cuts” all the time (canned beans, canned or boxed chicken/beef stock, tortillas from the grocery store)…. yet I never thought on that level to worry it wasn’t homemade. I’m glad I’m so naive!! In my neck of the woods, you’d have to do something “drastic” like using Hamburger Helper where you just add your own meat or Velveeta chicken skillet box mix to not be a “real” homemade meal. I will continue with this way of thinking!! Unless you have a prep cook on hand like those t.v. chefs, then you need to rely on shortcuts. I make my chicken stock — often with carcasses leftover from a meal — and freeze it in ice cube trays so it’s always on hand and quick to thaw (in microwave or directly in the dish). I make herb butters — dill butter and chipotle butter are my staples — in the freezer. Adding them to vegetables, baked potatoes, pasta, or to saute fish or a chicken breast are fabulous and nearly instant. Parsley is washed and chopped in the food processor and frozen — I break off what I need for cooking and it takes no prep. Store bought shortcuts include sauces — the best barbeque sauces I can afford, the same for tomato sauces. I long ago stopped making my own salad dressings; yes, homemade is usually better, but the quallity of store bought has improved immensely. And with the spare time I save — I read books on kitchen shortcuts! Thank you for keeping it real. Sometimes I feel major guilt when reading blogs where folks are cooking from scratch everyday and doing all these other wonderful things and I can’t just can’t do it. chicken broth with water + bouillon. i found a local brand that is all natural/no weird ingredients. works for me! Great post! I think we all have shortcuts that help us continue to provide wholesome, healthy meals even when days are crazy. I like to keep canned tomatoes on hand (yes, I know about BPA). I have a combination of home canned tomatoes from our garden and organic canned tomatoes. I don’t make my own ketchup; the kids didn’t like it. I buy applesauce rather than making it myself. I do buy organic cereal, again, for crazy mornings. Another convenience food I like to keep in the freezer is raviolis. I love that I can drop them in boiling water and serve them in about 25 minutes. Just…Thank you! I am a Mom to a young baby boy and with that I have learned recently that I need to do things that make my life less stressful, easier, and give me enough time in the day to accomplish the basics. I keep lots of canned goods like veggies, beans, tomatoes: sauce & paste-diced-whole, cream soups, boxed pasta, jarred pasta sauce, boxed rice-potatoes-stuffing. And many other things that I am sure many families would totally frown upon. But, if I can prepare a meal for the 3 of us that costs very minimally, is much healthier than take out, and fills us up happily…I am all for it. With that being said, I have made many steps in recent months to healthify our eating choices. I have cut out all HFCS products, changed over to raw sugar instead of plain white, purchasing more organic veggies, and biggest accomplishment is cooking at home much much more than we ever did before. We have along ways to go still, but baby steps work for us. Frozen veggies is a staple for me. Like Simply Fresh Steamers by Green Giant. Makes eating veggies easy for me. I just used a super shortcut. I used frozen hash browns for my breakfast burritos. I have back problems, and arthritis, and peeling potatoes is one step I love to do without! I was able to do a lot more because of it, and they are pretty cheap at the grocery outlet. I have frozen hash browns in my freezer right now. 🙂 I love them and keep them on hand for quick and easy breakfasts or breakfast for dinner. So, I agree they work great for so many things and are a short cut I use often. I have several shortcuts to share. The first is buying a pre-cooked rotisserie chicken from the deli and use the meat for soups, quesadillas, casseroles and salads. It’s not the most economical, but it sure saves a lot of time!! Another is buying a pie crust instead of making it…I just take out the refrigerated crust, let it warm up, and roll it out a little more and put it in the pie plate. Most people can’t even tell the difference! Happy Kitchen Adventures!! I love rotisserie chicken and have bought it many times. It is a great shortcut! I agree on the chicken broth…I also rely on that quite often! I also use frozen hash browns quite a bit too! Thanks for keeping it real! Wow! This post may have changed my kitchen. I have many staples (beans are definitely one of them) but in spite of not having any major food allergies in my home, I have more or less banned prepare items if I can make them from scratch. The truth is, with three children including a two-year-old and an infant, I often will skip a meal because I don’t have the time to make one from scratch! Your post helps me to feel free to maybe buy a box of granola bars or a jar of spaghetti sauce now and then… Not as a crutch, but to enable me to make something quick when it’s quick or nothing. Seriously, thank you for this post. You are welcome. And this is exactly why I shared this post. We can’t do it all. Cooking from scratch is important, but having a few shortcuts on hand for those crazy busy days makes life so much easier and there is nothing wrong with that. Thanks for keeping it real! One of the many reasons I love your blog!! 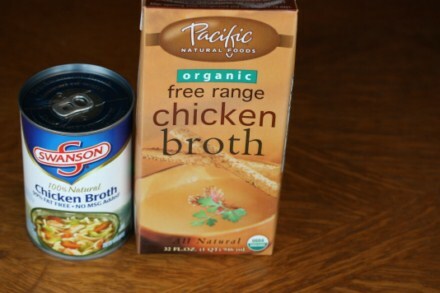 FYI … Swansons chicken broth and canned chicken meat ARE NOT gluten free. Do you have a link or info on that. I have never had an issue with it and last time I checked their website said it was gluten free. And the can does not list it or wheat on the label. I would love to know the info to learn more on that if you have it. Great post! You are so right about keeping it real! I have relaxed my approach to cooking a LOT in the past year or so. I think it had something to do with turning 50 and deciding that while eating well is important. There are other things that are more important to me! My favorite kitchen shortcuts include rotisserie chickens (love the ones from Costco), frozen vegetables, canned beans, tomatoes, jarred pasta sauce, better than bouillon stock in a jar, and packaged seasoning blends. One of my favorite easy meals is red beans and rice, I throw 2 jars of salsa, 2 cans of beans a pack of smoked sausage in crockpot, let it cook all day, cook rice to serve over. everyone loves this and thinks I slaved all day. I keep cheese tortellini and packaged chopped onion in my freezer at all times so when I have left over chicken on a cool or cold night I can make a quick Italian tortellini soup using canned low-sodium or lite chicken broth. I throw a little of the onion with a little quick chopped carrots and celery into about a half inch of broth in the bottom of a sauce pot on high heat. I season it with white pepper and granulated garlic. While the carrots and celery are softening I chopped the left over chicken into soup-sized bits. When the carrots are almost done I add enough broth to make soup for how ever many I want to feed. When the broth starts to steam I lower the heat and add the frozen tortellini (if it’s boiling, they break open, you want them cooked, not shredded) Using the cooking time from the tortellini package I add the chicken half way through. This is a delicious, easy soup you can make for one person or an entire family.